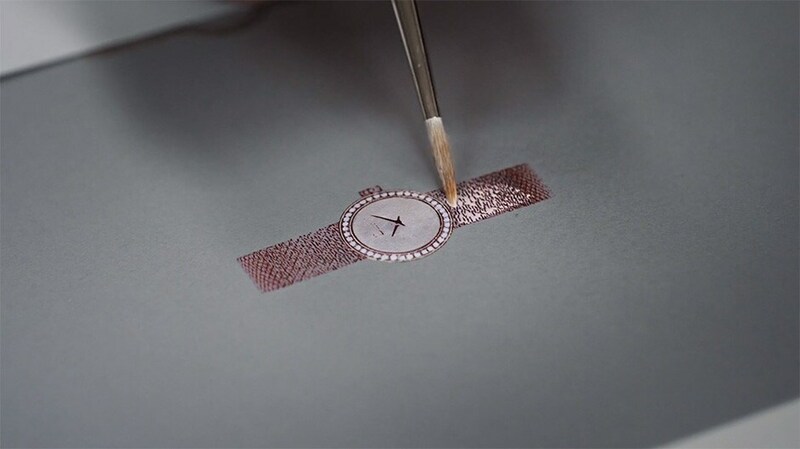 The D in Dior embodies the spirit of Dior jewellery, bringing together jewellery expertise and creative daring with Swiss watchmaking know-how. Alligator strap coated with pink gold leaf, pink gold unfolding clasp set with diamonds. Extra strap in shiny black alligator.